Knit Up & Dye Podcast, Yarn & Knitting Patterns: It's like Christmas! I cannot express enough just how much fun Mystery Knit-Alongs are for me. This one has been especially fun because not only is the pattern a mystery, but so is the yarn. I offered general themes for participants to choose from, as well as a "surprise me" option, but no one, outside of myself and my husband has actually seen what the yarns look like. I feel like I'm preparing Christmas gifts. I'm so full of excitement, anticipation, and hope that all participants love these kits. I can't wait until this KAL kicks off and we have our reveal. It will be so much fun to show off photos of the yarns, but the fun is only just beginning. Participants have chosen their preference to work the sock pattern either as a toe up or a cuff down, which means... their clues will be different. And they will be working different aspects of the design at different times from other participants. And, there are options built in to each version, essentially ensuring that each pair of socks will be completely unique to their knitter. 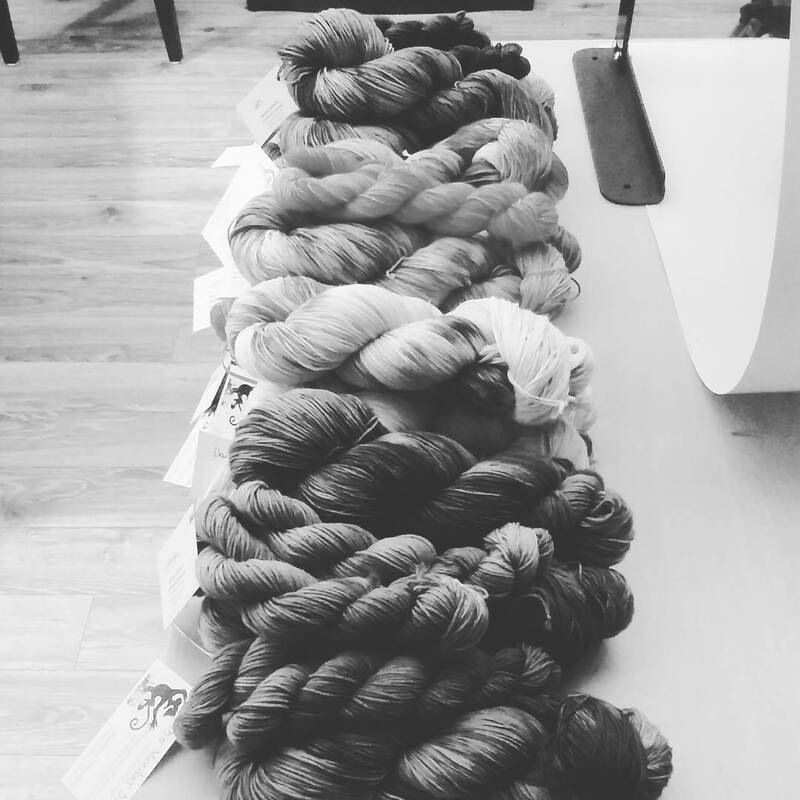 I simply can't wait to see what these knitters create! Even if you aren't participating in the MSKAL with us, feel free to follow along and enjoy the reveals. Kits will eventually be made available for general purchase.